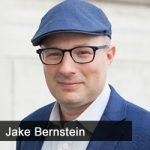 Jason Hartman talks with Jake Bernstein, author of Secrecy World: Inside the Panama Papers Investigation of Illicit Money Networks and the Global Elite, about what the Panama papers are, why they’re important, and what kind of impact we should expect to feel from the fallout. Want to know why tax revenues are low, how governmental agencies have been paying spies for years, or more on the Rothchild family? Listen in to learn how the Panama papers can help you find out. [2:14] What are the Panama papers? [6:10] Why do the Panama papers matter? [23:19] Is the Rothchild family in the Panama papers?